Interested in becoming a member of Winnipeg’s finest 9-hole golf course? The Players Course is a public golf course, but does offer a limited number of seasonal memberships.The Players Course has several membership options available for 2019. The Players Course offers several memberships with full playing privileges as well as couples memberships, corporate options and intermediate / junior memberships. If our membership is full, we do maintain a waiting list. Please download the 2019 Membership Application from below, if you have any questions regarding membership please call or email us and we’ll be happy to help you find the perfect fit. 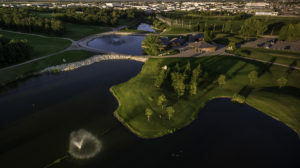 The Players Course also offers a competitive Corporate Membership option if you would like your company and employees to be members of the club. We offer two different Corporate Membership packages to compliment your needs. For more information, please click the link below to download our 2018 Membership Package, or use the menu on the left to access our Membership Information page. If you are interested in becoming a Corporate Member of The Players Course, please contact Rob Damsgaard at 697-4976 Ext #2.